Proudly Asian Theatre has partnered with the New Zealand Film Commission for an exciting new initiative as part of their 'Fresh off the Page' monthly playreadings. The initiative sees three emerging Asian playwrights chosen for a year of mentoring with NZFC writers on projects for screen. This incredible opportunity is to encourage the growth of Asian playwrights with the freedom to write any story, any style outside any restrictions. New Asian Writer's Night encouraged new writers to come forward with their development scripts in one epic night of readings. "We wanted Asian playwrights to shake the idea of what an 'Asian' story is," says creative director Chye-Ling Huang, "Often our works get chosen and fostered with an added pressure, an unspoken bias, which favours stereotyped stories about what it means to be Asian. It is my hope that Asian writers can just be writers, and also have the chance to hone their craft and make their script as strong as possible for future funding rounds. We need more of our stories out there to come from us, and there are so many perspectives that we rarely see." 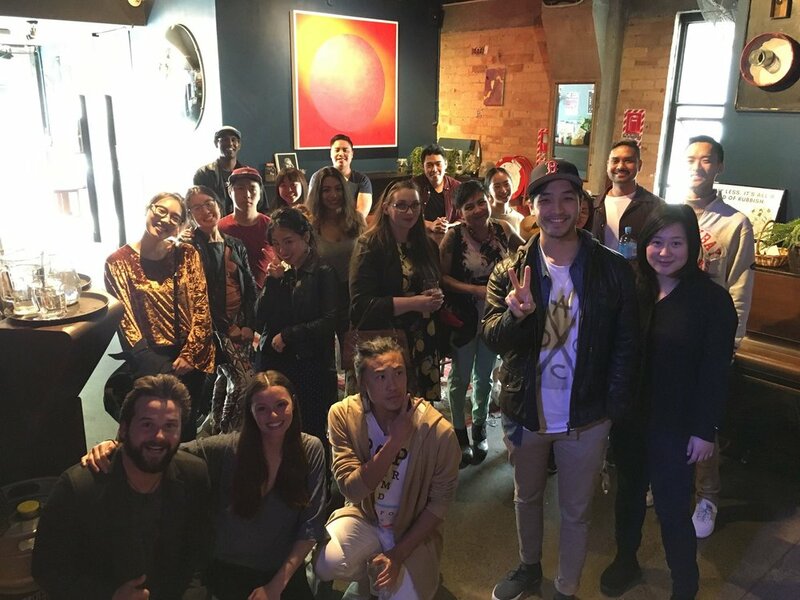 The NZFC hosted an Asian film night at The Basement in 2017. "The film commission have been wonderfully supportive - we are a theatre based company but we have branched out in 2017 to film projects and scripts. We realize there is a lot of crossover for talent in the theatre and film industries and this is our way of connecting our resources to give those artists an opportunity for growth in an area they may not have considered. We both want more Asian talent to have their voices heard which is an awesome goal." The first event featuring screen based scripts will be at The Basement, May 30th. More info here!